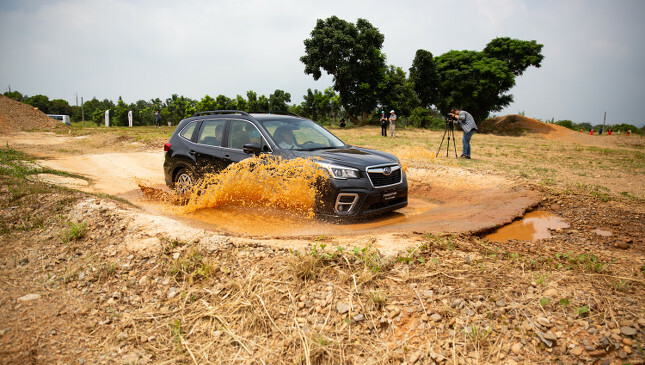 Earlier this week, at the regional launch of the upcoming Subaru Forester in Taiwan, we were given the chance to test this all-new, fifth-generation model. Yes, it really is all-new, despite looking merely like a facelifted version of its predecessor. 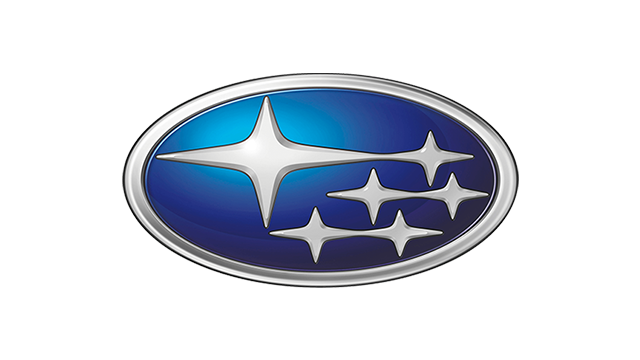 The biggest change over the previous iteration is the introduction of the Subaru Global Platform and the EyeSight suite of safety features, which are now considered Subaru core technologies along with the boxer engine and Symmetrical All-Wheel Drive. 1) EyeSight is a valuable driver-assistance system. Because the adaptive cruise control feature of EyeSight is functional all the way down to 0kph, it actually works in stop-and-go driving, in tandem with other features like lead vehicle start alert, lane-departure and lane-sway warning, and pre-collision braking. It was pretty trippy to see how effective it is—so effective that some people might start treating it as a self-driving system. This couldn't be stressed enough: The purpose of EyeSight is to provide visual and aural alerts when it senses impending danger, or, as a last recourse, to apply emergency braking to avoid a frontal collision. So yes, it's definitely reliable, but don’t rely on it to take over your driving duties. 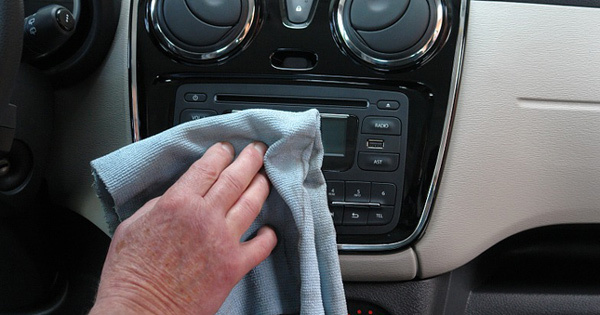 2) There's ample NVH suppression here for our local driving conditions. The off-road course featured a bumpy road that had us snickering when our Japanese driving instructor referred to it as such. "Bumpy? 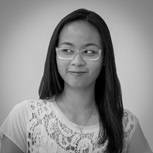 You should visit the Philippines—we'll show you bumpy!" In any case, the Forester felt solid and remained composed through that section, even over the rougher areas. The new Subaru Global Platform also gets credit here, because it was designed to improve not just driving dynamics, but also passenger comfort and safety. 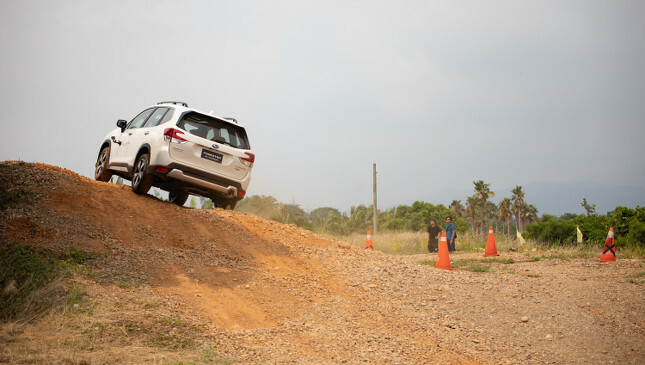 3) Upgraded X-Mode enhances the new model's off-road capability. 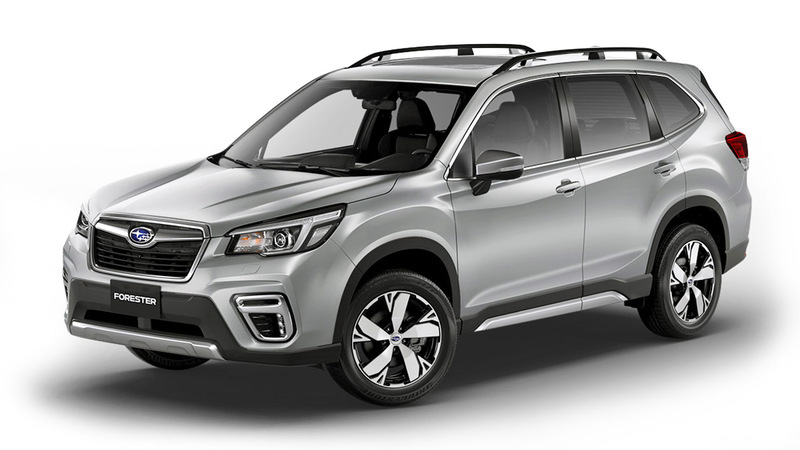 Higher variants of the new Forester are equipped with a new Special X-Mode, which has two off-road settings: Snow/Dirt and Deep Snow/Mud. The former works the same way as the conventional X-Mode on the previous model; the latter, meant for low-traction surfaces, sends the maximum available torque to the wheels in contact with the ground until the tires gain enough foothold and momentum to power out of slippery situations. 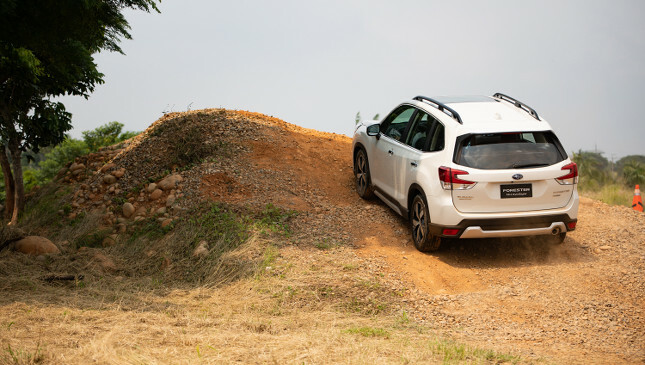 We were asked to test the Deep Snow/Mud mode—as well as auto vehicle hold and hill-descent control—on a small hill, and the Forester pretty much breezed through the obstacle. Perhaps it would've been better if we had tried to get past the hill using Snow/Dirt mode first, so we could really see the difference between the two settings. 4) Handling has definitely improved. 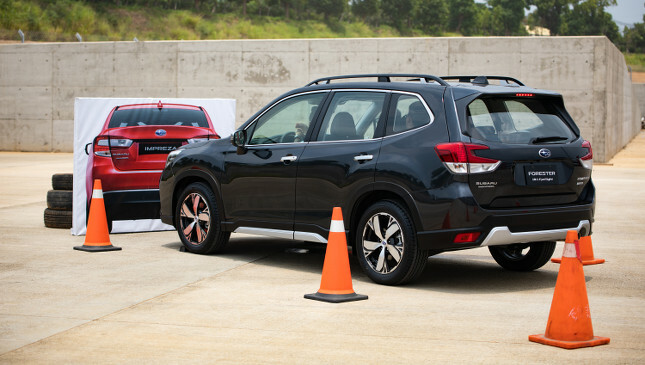 The karting track used for the on-road test was meant to showcase driving dynamics rather than top speed, and the Forester ably tackled the short course with clinical precision. It executed directional changes swiftly and confidently, with active torque vectoring allowing for quick, smooth, and stable cornering where the other test vehicles provided for comparison—a fourth-generation Forester, and current iterations of the Honda CR-V and the Mazda CX-5—exhibited a touch of understeer. 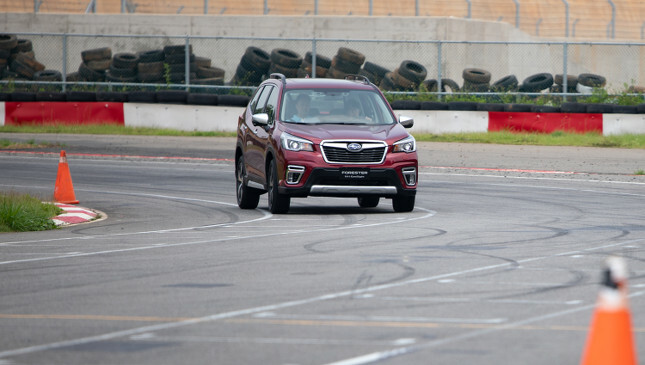 Body roll was also more controlled on the latest model than on the other test cars, especially on the slalom sections of both the karting track and the off-road course. 5) The powertrain responds well to throttle input. 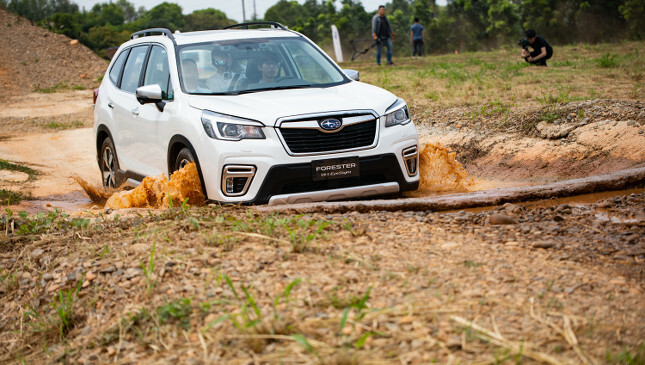 The Subaru higher-ups present in Taiwan said that engine response was their main focus during the development of the new Forester, adding that if we tested the outgoing and upcoming models side by side, we would notice the difference (and appreciate it, even, if only we forgot for five minutes that the Forester XT is no more—but of course they didn't say that). Mated to the newest Lineartronic CVT unit, the 2.0-liter FB engine delivered prompt and steady acceleration right from the low end of the rev range. 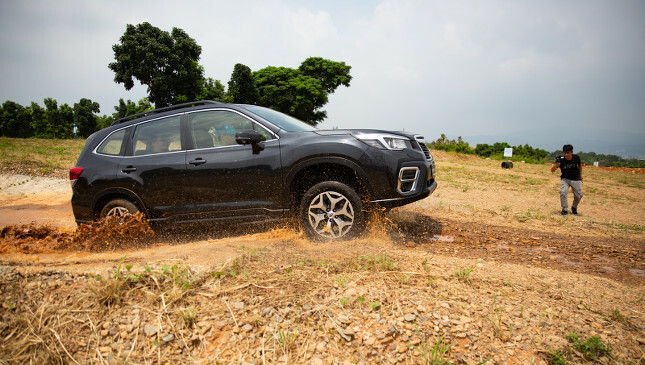 The Lineartronic system is one of the best CVTs in the business, and on the Forester, we felt it was able to maximize all the power and torque (154hp and 196Nm, respectively) the engine had to offer. It should help return high fuel-efficiency figures in city driving, too, but that’s something we'll have to find out on another day.